Integration you can count on. 2GIG Technologies® manufactures the most technologically-advanced residential security and home management solutions in the industry. 2GIG introduces GO!Control™ – the first self-contained, all-in-one security and home management system. 2GIG Technologies is committed to provide consumers with the flexibility and cost-effective technology necessary to manage their home automation and security functions from the panel’s LCD touch-screen display, the Internet, or their PDA. Sonos is the wireless HiFi system that lets you stream all the music on earth in every room. Start with one room, then, expand anywhere to fill your home with room-filling sound. Set up Sonos players wirelessly and control all your music with free apps for your Android®, iPhone® or iPad®. Alarm.com is dedicated to delivering home and business security with the utmost in convenience, control and complete awareness for security system users. They do this by developing unparalleled solutions that leverage the latest wireless, web and mobile technologies, all built on Alarm.com’s proven hosted services platform. Alarm.com’s proven technology platform enables consumers to monitor everything that happens in their homes or businesses, not just alarms; they can keep track of activity on entry doors, windows, liquor and medicine cabinets, safes, drawers, and more. Unlike traditional security systems, Alarm.com does not require a phone line or broadband connection; Alarm.com services work wirelessly through a secure GSM network to maintain a dedicated connection that will continue to work for 24+ hours after a power failure. Alarm.com also offers Video Monitoring,emPower™ home automation, Crash & Smash Protection and mobile apps that let consumers enjoy anytime, anywhere access to their property. With Alarm.com, home and business owners can be in 2 places @ once. Simple, flexible and powerful, Alarm.com is designed to fit your lifestyle. At Honeywell, they’re in the “peace-of-mind” business. They invest more than $70 million annually in research and development to create technology that allows people to go about their daily lives without having to worry about the safety and security of their homes and businesses. But their security technology also does much more than just keep people safe and secure… it makes buildings and homes more energy efficient, and people’s lives and businesses more comfortable and productive. Before bringing a new product to market Snap AV asks lots of asking questions. What’s good in the market? What’s not? Why? What’s really important? What’s not. they start at with the customer experience AND the installation experience and work backwards. Because equally important to the performance of the product is the installation. They make smart products – not “me-to” products! 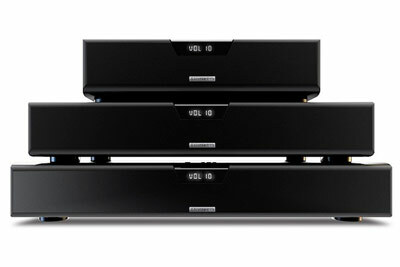 Sony has played a key role in the development of Blu-ray Disc™, CD, DVD and Super Audio CD technologies, among many others. The company is noted for a wide range of consumer audio-visual products, such as the BRAVIA® 3D LCD HDTV, BRAVIA® LCD high-definition television, Sony Internet TV with Google TV and the SXRD™ 4K digital projector. Samsung markets a broad range of award-winning, digital consumer electronics and home appliance products, including HDTVs, home theater systems, MP3 players, digital imaging products, refrigerators and washing machines. A recognized innovation leader in consumer electronics design and technology, Samsung is the HDTV market leader in the U.S.
As the dominant leader in the projection industry, Epson continues to deliver high quality projectors with unmatched color brightness and innovative features for business, education and home theater. For over twenty years SpeakerCraft have been the leading innovator in custom installed loudspeakers and electronics. SpeakerCraft invented the first in-wall speaker and later produced literally millions of speakers as an OEM manufacturer for some of the largest speaker companies in the industry. In 1994 SpeakerCraft took that experience and launched our own speaker line and quickly became the dominant brand in dealerships across the country. The Sunfire line represents nothing less than an audio renaissance. What has long been recognized as a stand out brand – now stands alone – with a range of products that are better in performance, luxury and style than anything that’s come before them. In fact, with every new chapter of Sunfire, we take the word ‘benchmark’ and give it a whole new set of rules. What does that mean for you? They think it means the finest home entertainment product you can buy anywhere. Period. There’s a lot of you in every Sunfire product. YAMAHA continues to introduce the most innovative audio/video products with the latest technologies, superb craftsmanship and the leading performance worldwide. The company is one of the world’s most diversified specialist audio and home theater providers who offer consumers and professionals with breathtaking sound and images, superior reliability and unrivaled convenience features. Keeping today’s high-tech, energy efficient home cleaner and healthier takes powerful performance and better technology. Dirt Devil® Central Vacuum Systems provide both, plus quieter operation, more convenience, and added value. The result is a total whole-house cleaning experience. Dirt Devil® Central Vacuums offer power unit choices for all homes as well as convenienthose management products for the ultimate central vacuum experience. All systems are covered by their industry-leading Limited Lifetime Warranty. Founded in 1993 and ranked among the top companies in the custom electronics industry, Channel Vision Technology is a leading manufacturer of innovative technology products in Home Automation, Surveillance Systems, Structured Wiring, Intercom Systems, IR Remote Control and Audio Video Distribution for both residential and commercial applications. Its broad-range of electronic solutions are designed to provide lifestyle enhancements for residents, while equipping homes and businesses for greater safety, convenience and entertainment.